Spoiler for the end of the first arc in #6. Seriously, major spoiler - do not open if you don't want to know. YAY!!! The Guardians are back!!! would this be a good mag to start my comic booking reading from ??? 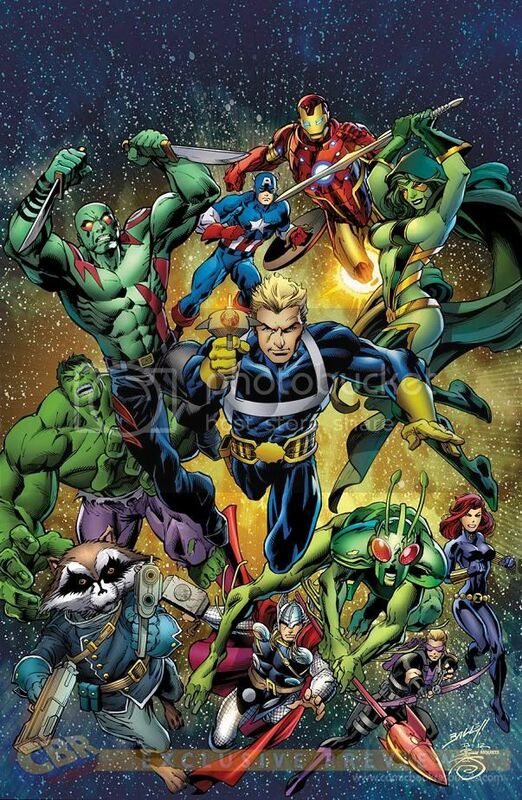 So have they explained how the Guardians are back (Starlord especially) or is it just shrugged off/not mentioned at all? Im kinda wondering what the hell is going on at the mo. Thanos back, Starlord back...!?!? Surely this is all one big charade, as if it isn't I'm gonna be a little hacked off of the lack of Rich Ryder! I haven't opened the spoiler above, but I am so tempted to know what the frell is going on! Feel free to open it. What was a spoiler when I posted it is common knowledge now. Ah yes, ta Spaced. Glad it didn't tell me anything I didn't already know but kinda sad that it hasn't answered any of the questions that have me stumped! But anyway, all three coming back + a new Nova can't all be random coincidence can it? 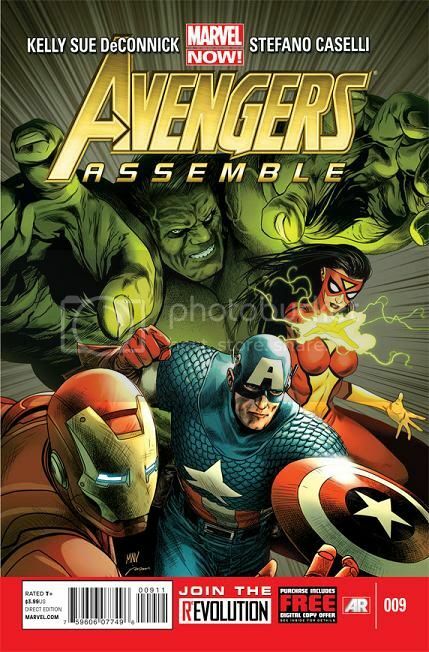 Hope it is explained soon though as I can't really get into this Avengers Assemble properly as it just currently feels like it is set in an Alternate Marvel Movie Universe! I don't know. Bendis ironicaly has a history of ignoring continuity (even continuity he's responsible for creating) when it comes to the story he's telling at any given time. So it might be explained but it's just as likely to be swept under the rug for a few years then brought up in "the story we've been creating for the past X years". Bendis...I try so hard to give him the benefit of the doubt, but damn he makes it sooo hard! I don't know with you guys, but I find this ok.
As a fan of the guardians series, this..saddened me..
Once Bendis/Bagley have finished with their arc, it's getting a new creative team (DeConnick/Caselli) & a new line-up (Hulk, Thor, Iron Man, Spider-Woman, Captain America and Captain Marvel) as part of the Marvel NOW thing.